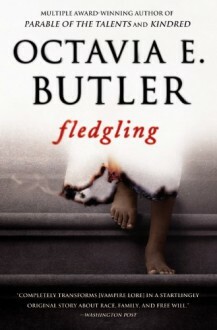 Octavia E. Butler is one of the finest voices in fiction--period. . . . A master storyteller, Butler casts an unflinching eye on racism, sexism, poverty, and ignorance and lets the reader see the terror and beauty of human nature.-"The Washington Post Book World "Readers familiar with . . . "Parable of the Sower and "Bloodchild will recall that [Butler] never asks easy questions or settles for easy answers. "-Gerald Jonas in "The New York Times "Fledgling, Octavia Butler's first new novel in seven years, is the story of an apparently young, amnesiac girl whose alarmingly unhuman needs and abilities lead her to a startling conclusion: She is in fact a genetically modified, 53-year-old vampire. Forced to discover what she can about her stolen former life, she must at the same time learn who wanted-and still wants-to destroy her and those she cares for and how she can save herself. "Fledgling is a captivating novel that tests the limits of "otherness" and questions what it means to be truly human. Octavia E. Butler is the author of 11 novels, including "Kindred, "Dawn, and "Parable of the Sower. Recipient of a MacArthur Foundation "genius" grant, the Nebula Award, the Hugo Award, and numerous other literary awards, she has been acclaimed for her lean prose, strong protagonists, and social observations that range from the distant past to the far future.